Investors looking for stocks to invest in generally look for sizzle. That’s a problem. The best stocks to buy aren’t always the most interesting stocks to research. Quite often, they’re downright boring. For all the glory of riding a biotech stock or indebted turnaround to triple-digit gains, most successful investors win by beating the market narrowly and consistently, year after year. That sort of outperformance usually comes from choosing companies with relatively stable performance over the long-term — not stocks that have huge potential (and huge risk) in the near term. In this more volatile market, some of those boring stocks have held up nicely. But it’s worth noting that at a time of low-interest rates, some of those stocks have built up questionable valuations. Stocks like WD-40 Company (NASDAQ:WDFC) and pest control company Rollins (NYSE:ROL) seemingly trade at nosebleed levels — even in a broad market that has taken a hit. Even for quality stocks, valuation matters. These 10 stocks may be boring but all have attractive valuations — and in some cases, real risk. But for the most part, they should be consistent winners going forward … even if they won’t get the same media coverage as sexier names. 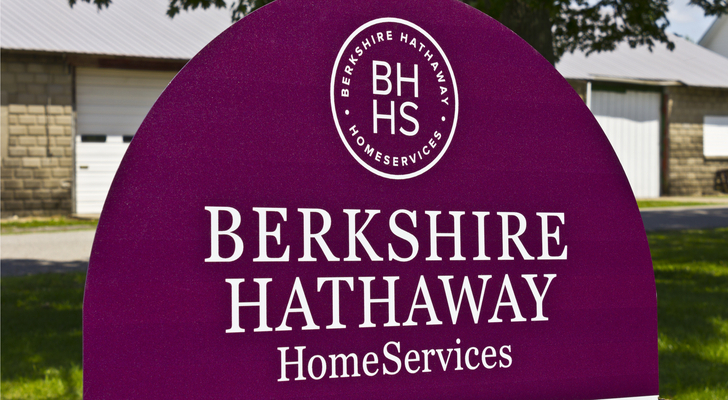 The world’s most famous investor, Warren Buffett, has built Berkshire Hathaway (NYSE:BRK.A, NYSE:BRK.B) on the back of mostly boring companies. Major stakes in Coca-Cola (NYSE:KO) and American Express (NYSE:AXP), among many others, have been long-term winners. Wholly-owned businesses include insurers Geico and General Re; railroad company Burlington Northern Santa Fe; apparel maker Fruit of the Loom; battery manufacturer Duracell; and consumer brands Dairy Queen and See’s Candies. To be sure, Buffett has taken on risks from time to time. Perhaps most famously, he invested $5 billion in Goldman Sachs (NYSE:GS) near the depths of the financial crisis. And the “Oracle of Omaha” largely has missed out on the tech boom. The firm has exited its biggest investment in the sector, IBM (NYSE:IBM), at a loss. Still, Berkshire continues to be an impressive long-term winner — and it might be back toward being cheap enough. Buffett himself thinks so: Berkshire repurchased nearly $1 billion of its own stock in the third quarter. Considering the prowess of Buffett and the always-underrated Charlie Munger, investors likely would do well to follow their lead, and buy Berkshire stock as well. Admittedly, it might be a bit of stretch to put furniture manufacturer Knoll (NYSE:KNL) on this list. 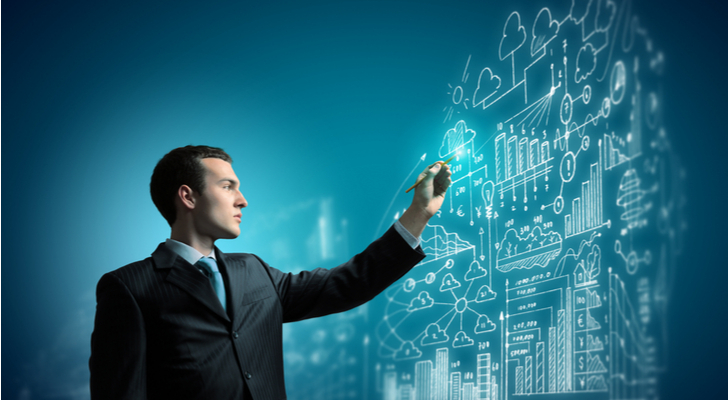 KNL stock has been on a bit of roller-coaster since 2015, along with peers Herman Miller (NASDAQ:MLHR) and Steelcase (NYSE:SCS). Uneven corporate demand has alternately boosted and pulled down stocks in the sector; tariff and inflation fears have provided pressure so far in 2018. But from a broader perspective, Knoll is at least getting more boring. Extensive exposure to high-end markets in both the commercial and residential categories provides a steady source of demand. Acquisitions of businesses like HOLLY HUNT and Finland’s Muuto have diversified the company into residential and so-called “resimercial” applications. The company’s long history gives it access to timeless works from famous designers like Ludwig Mies van der Rohe, Eero Saarinen, and Frank Gehry. Meanwhile, recent pressure has pushed KNL toward the low end of its multi-year range — and pushed its dividend yield up to an attractive 3.2%. A sub-10x forward P/E multiple further supports the idea that KNL is simply too cheap – one reason I own the stock. Trading may be volatile going forward, and KNL is unlikely to provide enormous returns. But the dividend and the valuation suggest a solid path toward years of above-market returns … even if those returns might take some patience. Agilent Technologies (NYSE:A) seems almost like a forgotten stock. The S&P 500 component provides test and measurement solutions to a number of well-covered industries, including life sciences and energy. But Agilent stock itself hardly seems to get much press. To be sure, it’s not as if the market ignores Agilent stock. At 23x FY19 EPS guidance, the stock isn’t all that cheap. Still, growth continues to be impressive — and above its peers. A fourth-quarter beat last week capped off a very strong fiscal 2018. Margins already are impressive, at about 22% on a non-GAAP basis, and continue to expand. And a solid balance sheet — Agilent actually has more cash than debt — allows for M&A or more aggressive share buybacks. All told, there still should be more upside for Agilent stock. The company is indispensable to many of its customers. And Wall Street still sees roughly 15% upside from current levels — in addition to a 1% dividend yield. This looks like a case of paying for quality — and from that standpoint, Agilent stock looks like it’s worth the price. The case for Keysight Technologies (NYSE:KEYS) is similar to that of Agilent because Keysight actually was spun off from Agilent back in 2014. Keysight comprises the former electronics business, while Agilent kept its life sciences focus. That electronics business admittedly is different and perhaps not quite as attractive. One of the reasons Agilent gave for the spinoff was that the electronics business was more cyclical and generally lower growth. 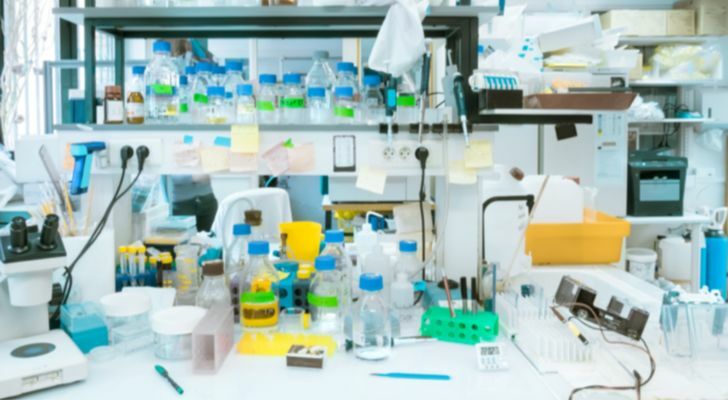 In a sense, the move was made to make Agilent stock more attractive, by boosting growth and exposure to stable life sciences spend. But it’s KEYS that’s been the bigger winner, more than doubling since the spinoff. Agilent stock, in contrast, has gained a still-impressive 87%. Keysight’s strength in the communications space has helped, as Keysight has reversed market share losses and now leads in most of its product categories. Still, of late, the more cyclical nature of the business has provided some pressure on KEYS stock. Despite three consecutive impressive earnings reports, KEYS is up less than 10% from March levels. The stock dipped ~15% in October alone. With more leverage after its acquisition of Ixia, and more cyclical markets, KEYS probably is a bit higher-risk than Agilent stock. But at 14x forward earnings, it’s cheaper — and offers potentially higher reward as well. It might seem a bit silly to call any retailer boring at a time when Amazon.com (NASDAQ:AMZN) is reshaping the entire industry. But The Children’s Place (NASDAQ:PLCE) is probably as close to boring as a retail can get these days. The company remains dominant in children’s clothing, particularly with competitor Gymboree filing for bankruptcy last year. It’s not the sexiest model in retail — many items cost less than $10 — but The Children’s Place has impressive customer loyalty. Growth has been strong for several years now – and that low-cost model provides some downside protection should broader economic trends reverse. Meanwhile, PLCE is ahead of the industry in adapting to the new ‘omnichannel’ environment. Over 30% of revenue already is generated online, and The Children’s Place is closing stores to further minimize its exposure to struggling malls. Management targets suggest a path to $12 in EPS simply from lower investments in that e-commerce business and benefits from those store closures. A cash-heavy balance sheet further de-risks the story here. PLCE probably isn’t going to double. But around $130, the stock remains far too cheap. This is a retailer with a solid, profitable niche. Online or offline, it should be able to continue to grow – and continue to see its stock price rise. Banking is another area that, these days, hardly seems boring. 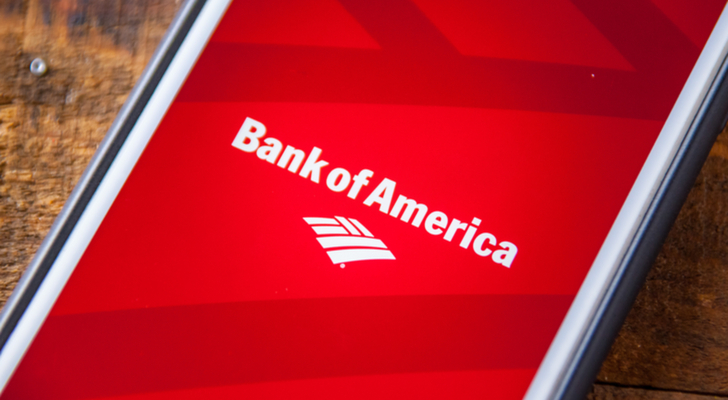 But Bank of America (NYSE:BAC) is doing its best to get to that point. As I wrote last month, there’s a clear effort by BofA to reduce risks across the board. That’s true both in investment banking, at the Merrill Lynch unit, and on the consumer side as well. Admittedly, that creates a bit of a narrow bull case for BAC stock. Financials across the board have pulled back over the past few months after a strong post-election run. Investors who see the pullback as overdone might look to more aggressive plays like Citigroup (NYSE:C), Wells Fargo (NYSE:WFC), or Barclays (NYSE:BCS). But for those investors who appreciate BofA’s efforts to avoid a repeat of the financial crisis, cheap multiples and 2%+ dividend yield are enough … even if BofA does stay boring going forward. Utility stocks like FirstEnergy (NYSE:FE) traditionally are among the most boring, and most safe, stocks in the market. They don’t offer much in the way of growth but usually provide a solid dividend and risk against a recession or a market downturn. By utility standards, however, FE stock does have a more interesting story. A long-running political debate about the company’s nuclear power plants pressured the stock over the past few years; FE actually hit a 14-year low back in 2017. That debate appears to be over, with FirstEnergy finally agreeing to shut down the plants. Even with a potentially disappointing outcome, the resolution has helped FE shares, which have rallied to a three-year high. More upside still could be on the way. FE still yields a healthy 4%. Wall Street analysts project about 6% upside as well, in a sector where pretty much every stock is right at consensus targets right now. FE likely isn’t going to return 24% in 2019, as it has so far this year. But it may have some room left to run while returning cash to shareholders in the process. Like Bank of America, J M Smucker (NYSE:SJM) is trying to get more boring in a very interesting industry. U.S. consumer products companies continue to struggle amid upheaval in the supermarket industry. 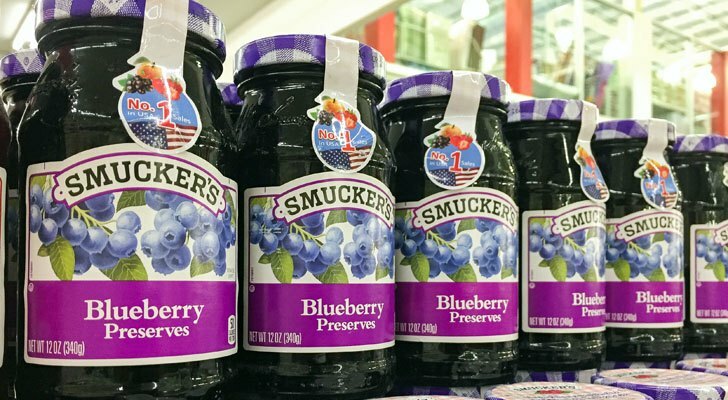 So Smucker is pivoting into safer, more stable areas. Recent acquisitions mean that, going forward, over a quarter of revenue should come from coffee, and roughly one-third from pet food. In both areas, consumers have shown they’re willing to keep demand stable at worst and to pay up for quality. Both trends should help SJM results going forward. Yet the stock is being treated like many other consumer plays: SJM trades at less than 13x forward earnings and touched a three-year low earlier this year. This seems a case of the market not quite reacting quick enough to the big changes in Smucker’s profile. With a yield over 3%, investors get to paid while the market figures it out. Agricultural giant Archer-Daniels-Midland (NYSE:ADM) hasn’t been immune to trade war concerns, falling 11%+ after hitting a three-year high back in October. Indeed, it’s been a choppy few years for ADM, which still trades below 2014-2015 highs. Weak farm income and a strong dollar have caused near-term disruption in the company’s sales and earnings growth. Still, there’s a nice bull case here. Inflation is returning, which helps pricing, margins, and profits. Trade war concerns should fade at some point. Valuation is reasonable, at 13x earnings, and the company remains a Dividend Aristocrat. Over the last 30 years, ADM has returned nearly 10% annually, including dividends. Returns have disappointed of late but at this price, ADM has a real shot to get back to its past track record. 3M (NYSE:MMM) has pulled back of late, as cyclical fears have weighed on industrial stocks. MMM stock actually is down nearly 15% so far this year. But as the 116-year history of 3M proves, the company has weathered cyclical declines in the past. Each time, 3M has emerged stronger — and each pullback has been a long-term buying opportunity in 3M stock. It’s tough to see why this time necessarily is different. Valuation may have run a bit too far at the beginning of the year but it’s now much more in line, with MMM trading at 18x+ forward earnings. Here, too, a nice dividend yield (2.7%) helps the case. It’s the broad point that’s most important, though. 3M’s portfolio of tapes, cloths, medical supplies, and sealants (to name just a few products) might not be revolutionary. But it’s driven above-market returns in 3M stock for decades. And it’s the type of portfolio that can allow investors to beat the market with MMM stock going forward, as well. As of this writing, Vince Martin is long shares of Knoll and The Children’s Place. He has no positions in any other securities mentioned. Article printed from InvestorPlace Media, https://investorplace.com/2018/11/10-boring-stocks-to-buy-for-red-hot-returns/.